3 blades with advanced anti-friction coating. MACH3 Turbo removes more of each hair with less irritation. 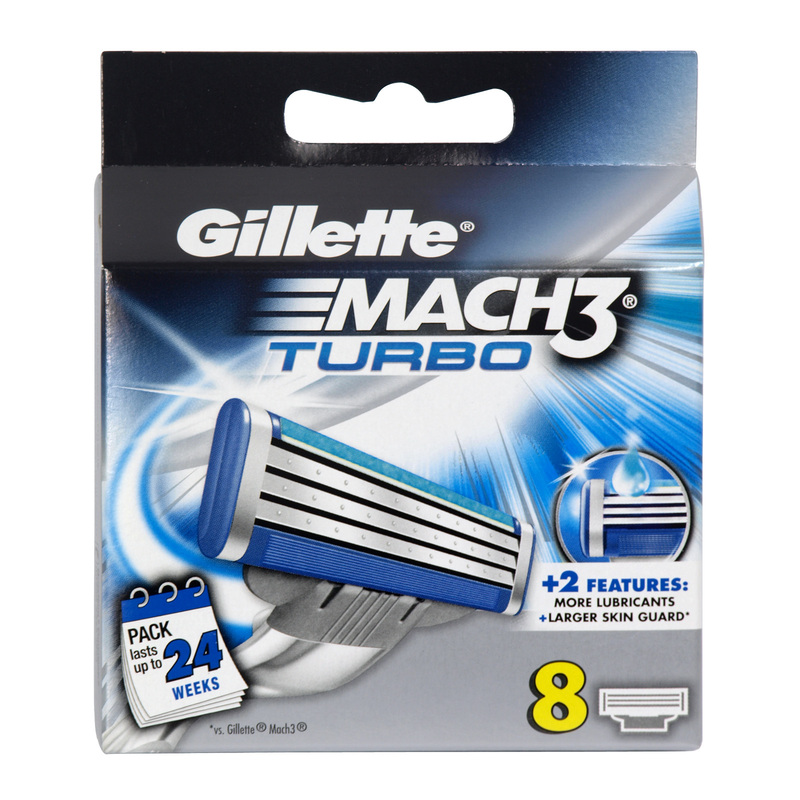 Soft, protective microfins, gently smooth down the skin so MACH3 Turbo can shave evenly and effortlessly. Enhanced Indicator lubricating strip keeps your MACH3 Turbo gliding, shave after shave. All MACH3 Cartridges fit all MACH3 razors.